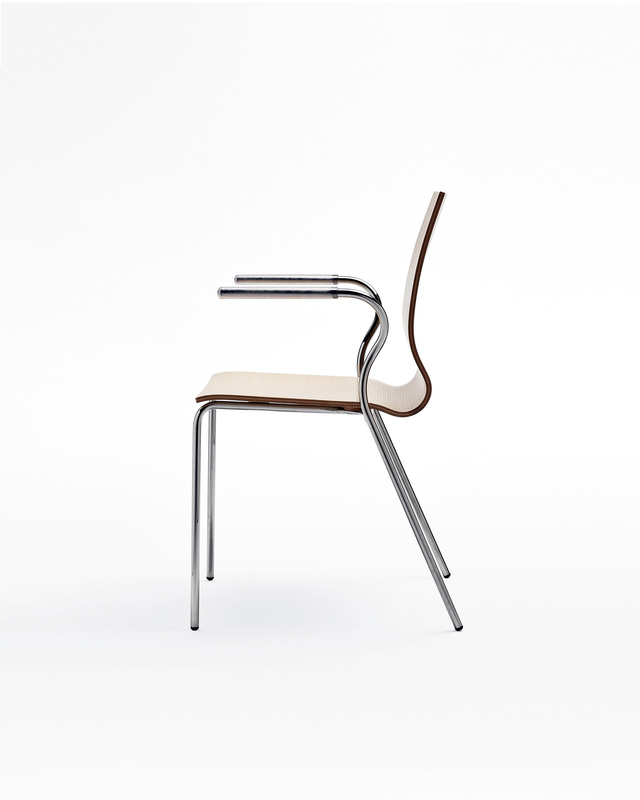 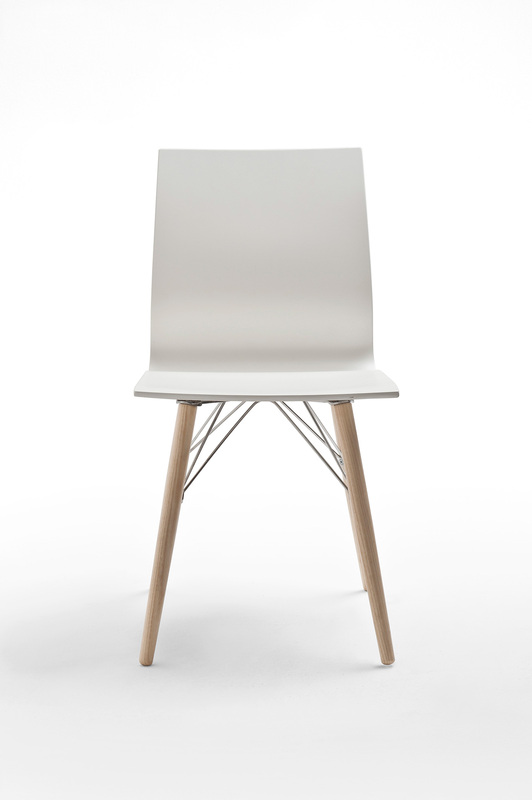 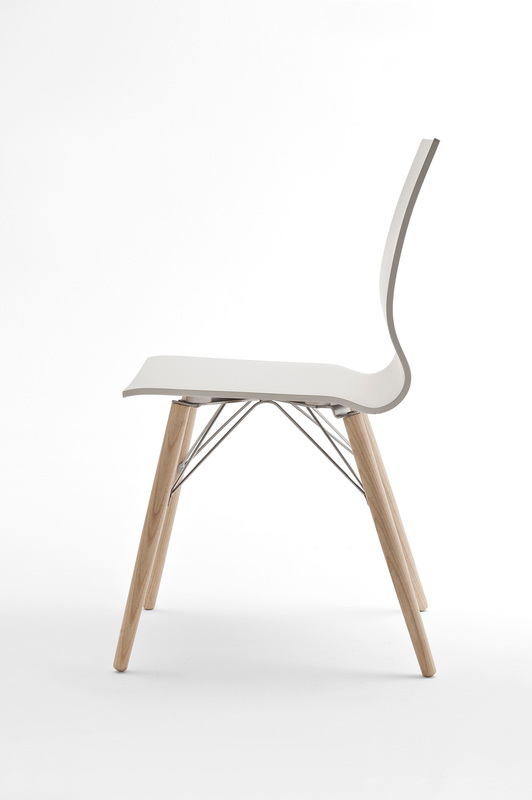 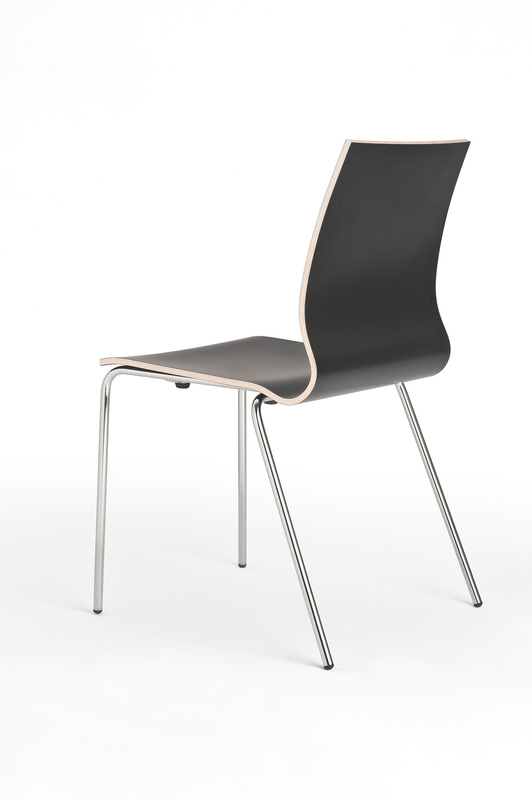 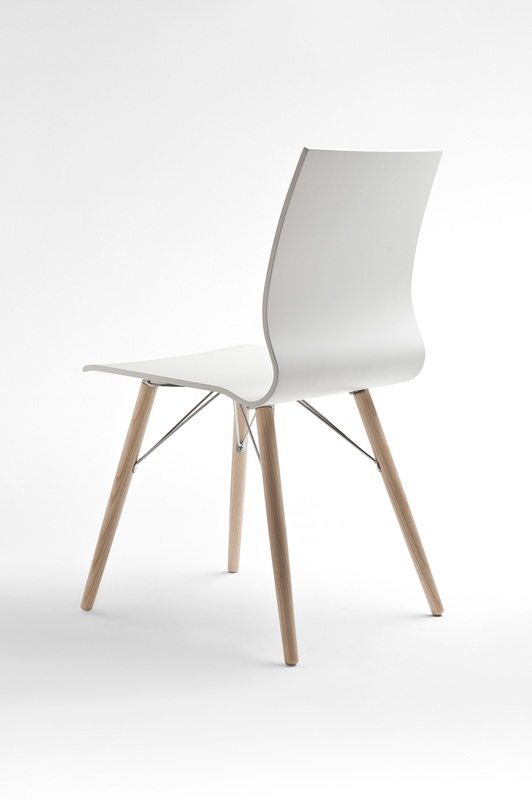 – legs in natural ash or in aniline stained in white and dark grey , connected by a trellis frame in chromed steel rod or powder coated in white or black (non-stackable version). 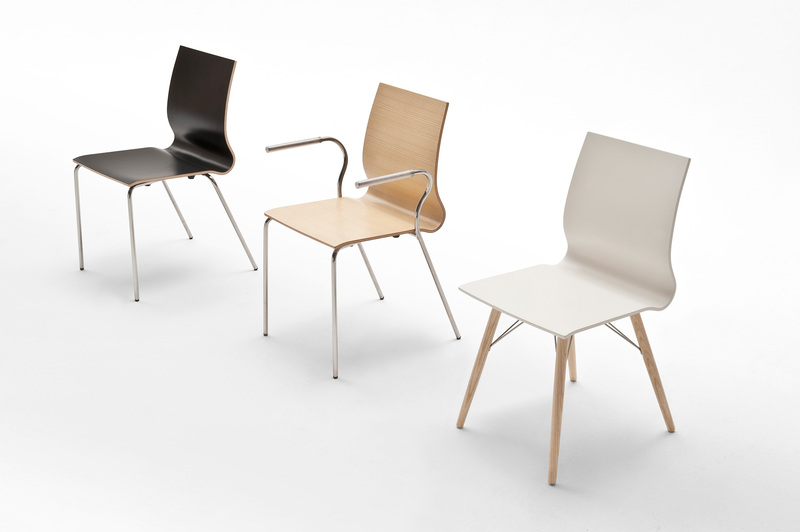 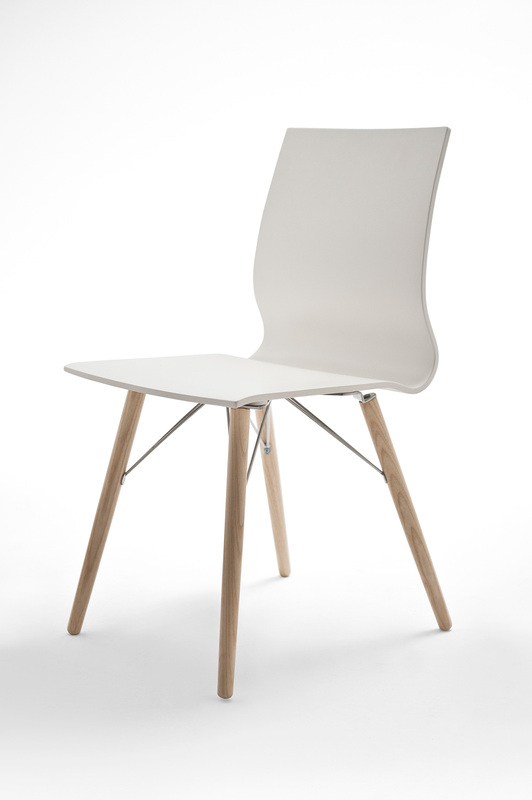 Shell is available in beech plywood, veneered plywood in natural ash or in white, dark grey and orange aniline stain or covered with black or white laminate. 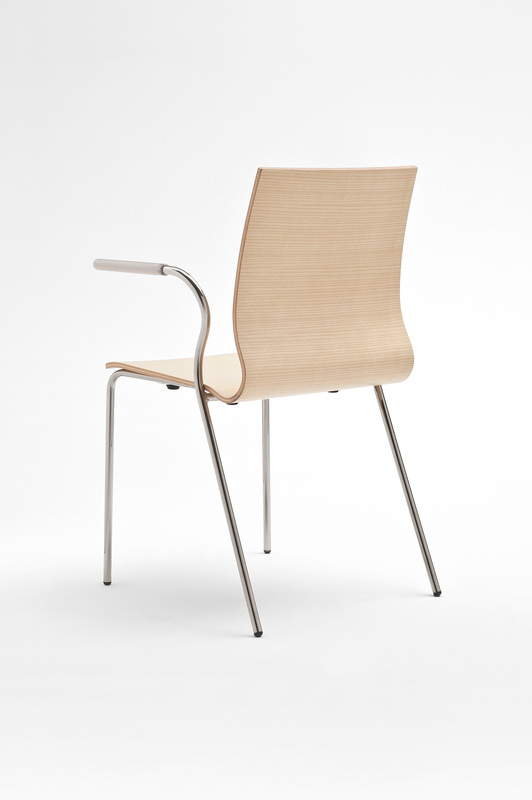 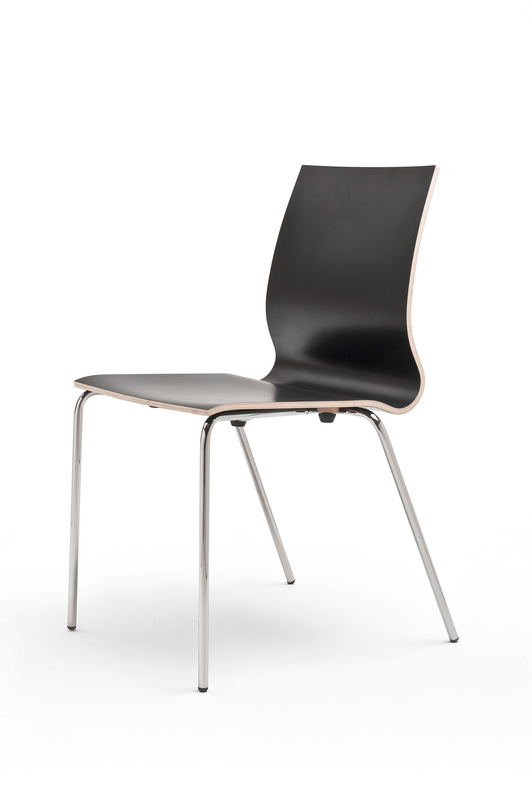 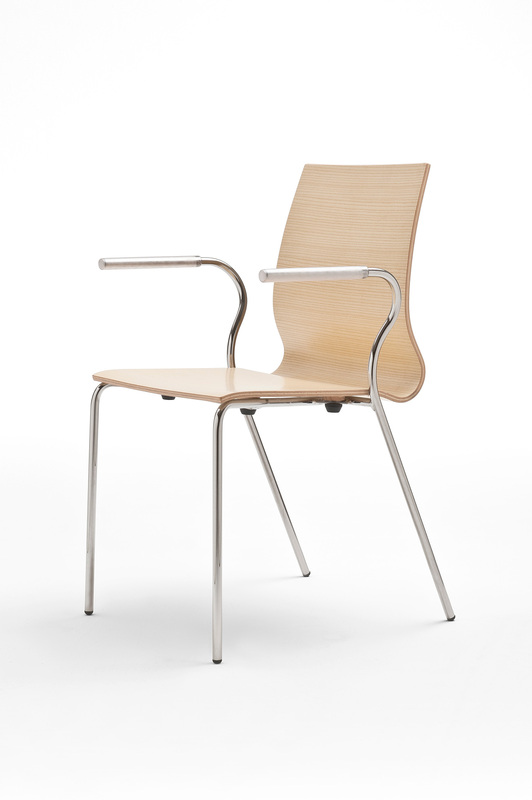 The armrests are sheathed in embossed, translucent PVC Metal frames are provided with glides in high strength plastic material . 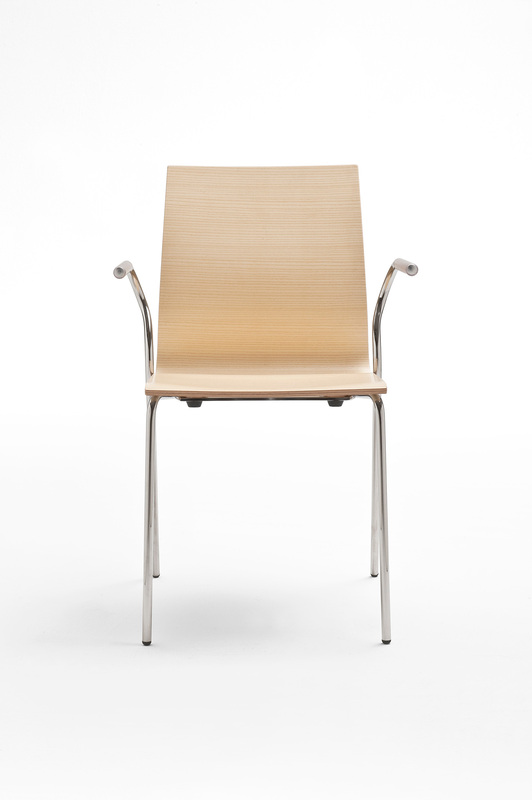 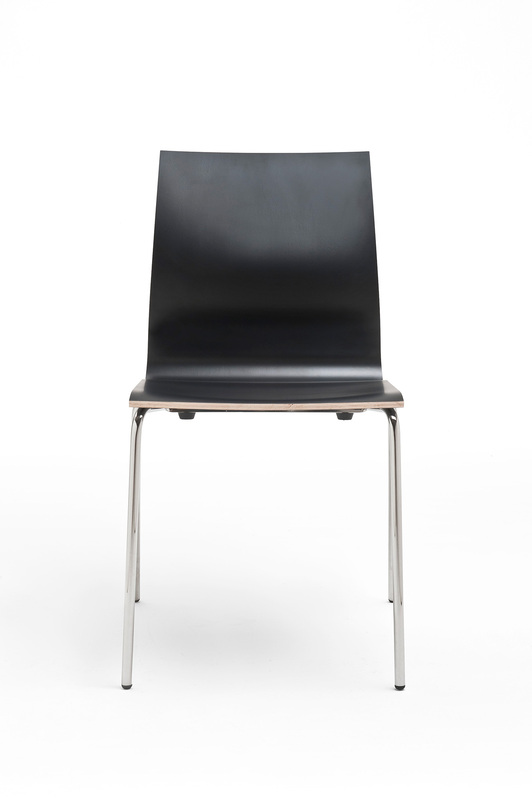 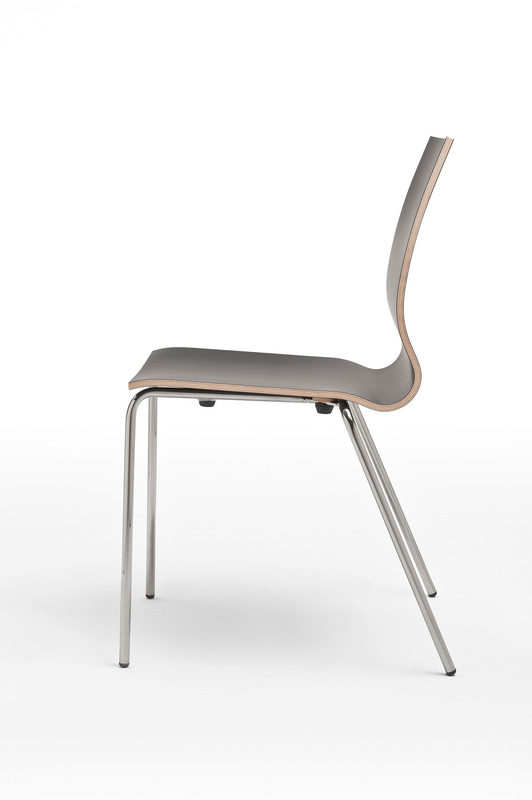 A scratch-resistant spacer is provided to protect the chairs for the 4 leg or sled base stackable versions.